Spring in the Pacific Northwest means lush greenery, abundant blossoms, and a chance to admire it all from your backyard patio or deck. Unless, of course, you step out the back door to find a landscape of snow-damaged plants, broken pots and heaps of leaves from your maple. Don’t despair! 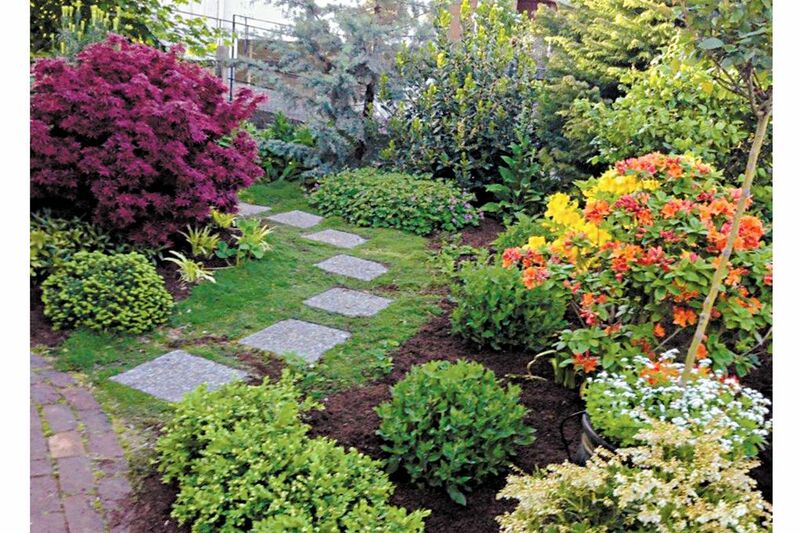 Area garden experts offer these tips to restore beauty to a lackluster backyard. Grab a rake and clippers and do a quick garden cleanup, says Juli Bertucci, a landscape designer with Urban Earth Nursery in Fremont. Raking up leaves, pinecones and broken twigs will make a huge difference in the way your garden looks for spring. After you’ve raked leaves and tossed dead plants and branches into the compost bin, you’re ready to beautify your beds with mulch. Bertucci favors arborists’ wood chips. If you can’t find those, get a few bags of beauty bark (not the dyed kind) from your local garden center. Fresh mulch not only looks attractive, it will conserve water and provide plants with nutrients as the mulch breaks down. Now you’re ready for the fun part: Adding new plants, furniture and décor. Repetition of plants, foliage and colors is key to tying a yard together, Muro says. If your yard needs foliage to fill in bare spots, he recommends selecting two or three shrubs with attractive green leaves, such as Euonymous japonica “Green Spire.” Three or four dwarf conifers would have a similar effect, as would a few graceful deciduous grasses. Need a really quick fix? Fill a large showpiece pot with bright-colored blossoming plants. Bertucci favors mixed perennials, with a small conifer to give the arrangement some height. “I like golden oregano, and Spanish lavender with the purple blossoms,” she says. In a hurry for vertical foliage to cover up an ugly wall or fence? 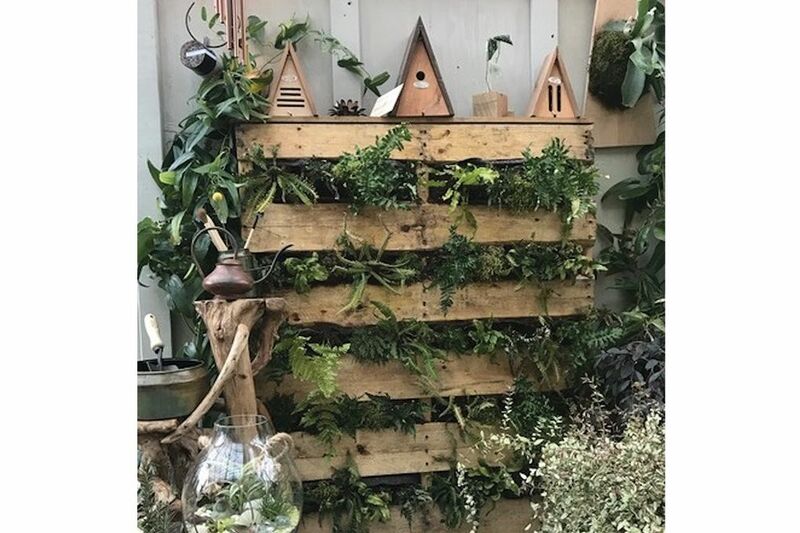 Berucci uses shipping pallets to create fern walls for shady areas and succulent walls for sunny spots — an easy way to get your backyard looking lush and verdant. Now that your garden looks great, make sure you can enjoy it. 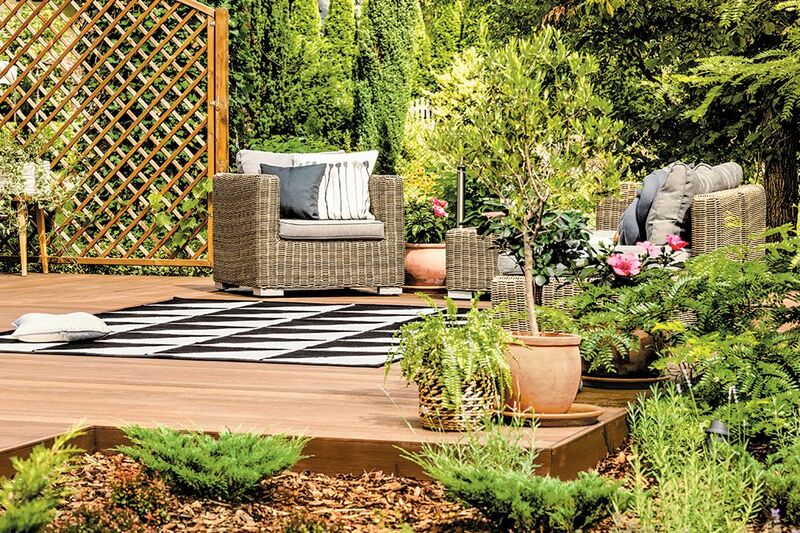 Simple updates to your patio furniture and garden décor will help. Garden artist Kim McCarthy, whose Burien garden is featured in garden shows, likes patio furniture in neutral colors, such as wood dining tables, simple benches and resin chairs. Her favorite update is simple candles in lanterns and glasses that make the yard sparkle at night. “Hang lanterns from shepherds’ hooks, put them on the ground, put them on the table,” she says. And, of course, she uses whimsical garden sculptures to draw the eye to the best parts of the garden.